A High altitude circuit trip to Annapurna Circuit Trekking – If you want to trail angels or avoid phantom, then set out for the mountains where you will overture respite, isolation, refinement, and contemplation in a scale that is unrivaled. Thereby, to get a chance to feel the nature pointedly in all its importance and inclination, abundance of folks do the magnificent Himalayan trek in Nepal. Among many high altitude treks Annapurna circuit is highlighted as the most adventurous and advantageous Himalayan trek which will take you to experience a tangible landscape touch lovingly above the clouds. The Annapurna circuit high pass trail is a moderate-difficult level trek to reach a goal which gives you the fighting chance to venture Himalayan trekking adventure but matter your fitness level. The Annapurna circuit trails fill many phenomenons for your wonders and delight and then there is always Manang, a natural grand village and Tilicho Lake, world’s highest lake below to seek in every touch of the sure thing. The journey’s ends at an elevation of 5,416 meters/17,769 ft above sea level on the high point of Thorung-La pass. 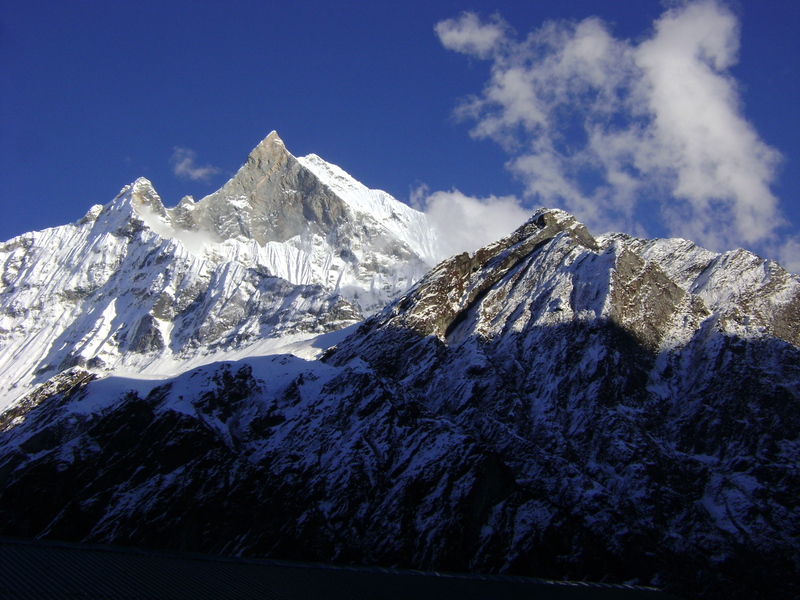 In the majestic Annapurna massif the adventurous Annapurna circuit trek is one of the freaky and high altitude treks. For the start of the 17 days trek you will get on the deluxe vehicle from Kathmandu and after a 6 hours journey you will reach Besisahar then half an hour hike to Bhulbhule and reach in evening. Colored with the gorgeous sights of hills all around and Marshyangdi River flowing down, Bhulbhule your first night residing place is the most valued hill haven. The following days the trek goes viewing the lively vista of Mt. Manaslu and Himal Chuli towards the east and keeps company to the magnificent village possessed by a galore mixture of people from different ethnic groups, offering the charming landscapes, adventure routes and a taste of gypsy culture. Nurtured in the panoramic beauty of Annapurna state, the Annapurna circuit trekking trails passes through untouched forest over lush green meadows with spectacular sights of snow-fleeced mountains. Adored with nature’s gift, Annapurna circuit trek offer a crucial break out from the buzz of city insanity and population. When the trek run on to the north of core Himalayan range close to the high and arid upland, you will experience the landscape in the same manner miraculous. This is where the highest point of the round Annapurna trek is Thorung-La pass, the final climb at the top of 5,416 meters high. By cause of the hardships of traversing the pass, the route is generally stepped in an anti orbiting course. To maintain in one day adventure right the highest slope and lower slope from west to east is out of balance for many trekkers. In reality, to make the top it all the tripping of Thorung-La is a confronting ascent but basking in the glory of reaching such terrifying top is a next world for adventure enthusiastic. Likewise, after getting triumph from the Annapurna circuit trek of Thorung-La you will decelerate the rise in high altitude and drop down towards Muktinath and Jomsom. At Jomsom you will come to an end of your Annapurna trek or you will carry on towards Kalopani, Tatopani, Ghorepani, and in the end Pokhara. So, the once in a lifetime, overwhelming experience will go far beyond the trek and teach you a whole lot of other valuable life practices. The trek surely makes you understand what Gustave Flaubert rightly said, “Travel makes one modest. You see what a tiny place you occupy in the world.” Such high altitude treks in Nepal Himalayas definitely guide your endurance rewards. You will appreciate that lastly, there is no top secret to an excellent trek other than to take good care of yourself and to slowly but surely, keep winning over. Thereby, Annapurna circuit trek in Nepal is an ideal destination for high altitude treks to glacial lakes. There are plethora of trekking places in Nepal that insist you for going and planning to the next hike with Skyline treks only.